Planning your dream wedding. What does Leicestershire have to offer? When you are planning the wedding of your dreams and orchestrating an event celebrating love, community, and commitment, bring a bit of Brit wit and classic style to the big day. From the rehearsal dinner to the celebratory toast, location is a major element of the wedding event. Select a venue that utilizes the picturesque and that you find accessible. What is imperative is that the bride, groom, and wedding party are front and center stage. The background is the frame that sets off the image, honing the mood, directing the eye, employing visual cues to craft a narrative of this love story. The region of Leicestershire exudes the beauty and understated grace that one associates with the English countryside. And yet there’s more. Here you’ll find everything from historical preservation sites to cutting edge cultural institutions. 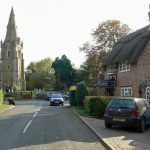 For example, Leicester, snuggled in the English countryside, possesses cathedrals, castles, museums, and paths that meander through old growth forests and new gardens. These are just some of the activities and backdrops you can use to show a wedding party’s special style. If nature is part of your vision, popular Leicester locales include Abbey Park, Watermead Park, the University of Leicester’s Botanical Garden, and Wistow Maze. Beauty calls to beauty. Consider employing the dramatic Leicester Abbey, the New Walk Museum and Art Gallery, the Belvoir Castle, the Jewry Wall Museum, the Attenborough Arts Center, or the Leicester Cathedral as an inspiration. If your style is more modern there is the National Space Centre for an out of this world good time. For those whose mutual love of sport and sociability defines their relationship, consider visiting the King Power Stadium, the Welford Road Stadium, and the Western Park and Tropical Birdland as part of the trip. Come together to celebrate. With venues ranging from the Real Ale Classroom to the King’s Head, there is the right venue for your dearest to propose a toast. Cheers! Whether you are walking in a park, touring historical and cultural locations, or dining with loved ones, Lee Glasgow Wedding Photography captures the moments that make up your special day. Moments that you will want to remember and cherish and share.